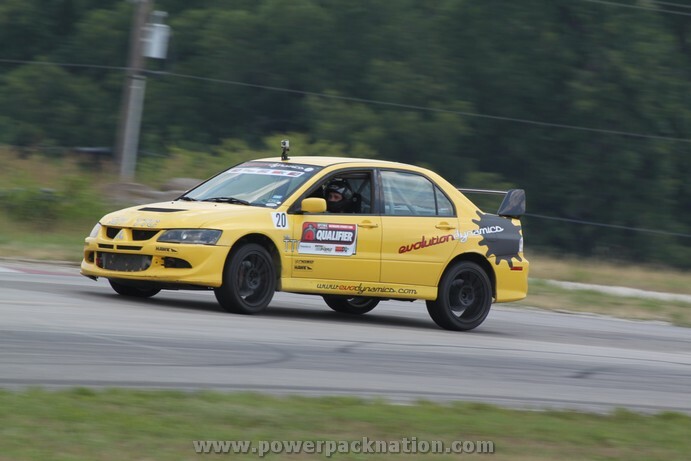 If you saw the OPTIMA Faceoff at the Hot Rod Magazine Power Tour, presented by Royal Purple and KN, then you witnessed and impressive performance by Todd Earsley and his 2003 Mitsubishi Evo. Todd's car was surprisingly close to stock, yet the combination of a lightweight car with all-wheel drive gave him the edge he needed on the track, to overcome some fairly stiff competition, including the Lingenfelter L28 Camaro, an incredible ZR1 Corvette from the LG Motorsports stables and two entries from OUSCI mainstay, Brian Finch. Wilwood Disc Brakes Speed Stop Challenge - My Evo performed excellently in the initial event for several reasons. It is relatively light at just over 3000 pounds with me in it. The launch control allows me to floor the gas and gradually release the clutch for a perfect launch with little wheel spin. Lastly, the 4 wheel drive gives me significantly more grip compared to most other vehicles. I had a mere 300 wheel hp at the first event and I will be bringing several more ponies to the OUSCI. 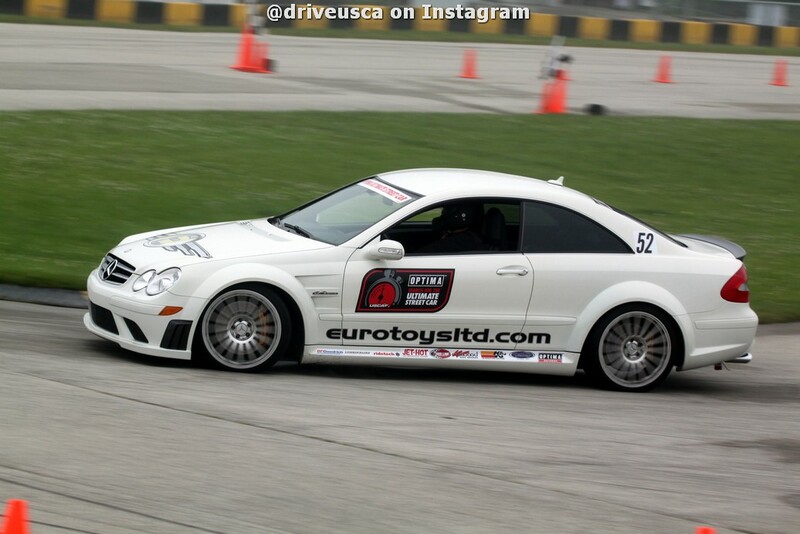 2 - RideTech Autocross - All of the attributes mentioned above help my car excel in an autocross. Even though I only had one other autocross under my belt before racing during the Hot Rod Power Tour, I was still able to place in second. I haven't had a chance to practice autocrossing any since, but I am confident I will finish at the top of the field in Las Vegas. 3 - BFGoodrich Hot Lap Challenge - I was at my home track at Eagles Canyon Raceway which gave me quite an advantage. The cars that placed above me had at least 300hp more hp. I'm hoping to address this issue by putting some hp mods on to increase my chances of placing well. 4 - Detroit Speed Engineering/JRI Shocks Road Rally - My concern with the road rally is the distance that we will have to cover. My car runs on E85 and the gas mileage suffers for it. Also, my seat is bolted to the floor in a racing position and is placed very close to the steering wheel and pedals. It is rather uncomfortable to drive it for more than 45 minutes. 5 - Lingenfelter Performance Design Challenge - My Evo is not heavily modified for looks. It was built for all around performance and lacks in the design field. I spent many hours helping build the silver Pikes Peak Evo and witnessed the crash in person. We were all horrified when it happened, but very relieved when Jeremy Foley walked away with bumps and bruises and Yuri Kouznetsov only sustained a dislocated shoulder. It has taken a while for everything to settle down at Evolution Dynamics, but we are back on schedule with customer cars. People are still coming to the shop to take pictures of the wreckage and talk about what happened. I am currently in my third semester (of four) of grad school at SMU, working toward my MBA. I decided to quit my job as an Aerospace Engineer, designing structural repairs for aircraft, to go back to school and develop my skills in the business world. I have since partnered with Kevin Dubois (owner of Evolution Dynamics) to develop software to help performance automotive shops keep track of customers' cars progress and better manage employees. The software is called My Shop Assist and we are currently in the final stages of software development. We will be releasing the product at SEMA and have rented booth 30261. We are very excited to get the product into the market and can't wait to start selling it. The summer has been pretty light when it comes to racing. But that is to be expected here with the Texas summer heat. We are making several modifications to my car to get it prepared for the OUSCI. As I said after the Faceoff, "I brought a spoon to a gun fight, and won!" I do not think that will happen in Nevada. Looking at the field of vehicles, I know I will have to improve the car to be competitive. We will be installing an aftermarket turbo with an intercooler and pipes to match. The exhaust is also being upgraded and I will be running on E85 fuel. We are going to lower the car a little and install sway bars to help out the handling. I have driven cars with these modifications before, so I am comfortable that I will be able to handle the extra performance. If you'd like to see how Todd fares in Pahrump, buy your tickets today.